A sinking concrete patio can cause a serious falling injury and be an eye-sore on your property. Is your concrete patio cracked, sinking, or settled? If your concrete patio is damaged and sunken-in, with jagged edges that have broken off and settled below another, it not only looks unappealing but it can also create a dangerous tripping hazard. That is why we at Bedlam Foundation & Concrete Lifting specialize in structural repair solutions including concrete patio repair. We offer our innovative PolyLevel® concrete lifting and leveling system, which provides a quick and affordable solution, especially when compared to total slab replacement or patio resurfacing. 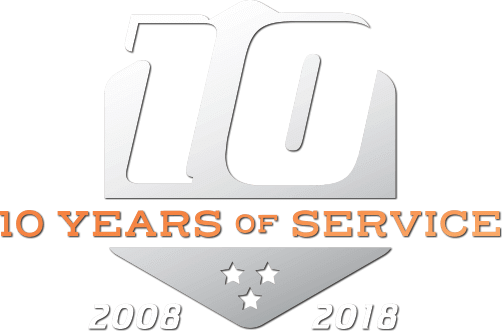 Call 1-855-462-4840 or click below to schedule a free concrete patio inspection and service quote today. 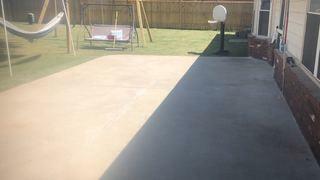 We provide our concrete repair solutions in Oklahoma City, Tulsa, Edmond, and nearby! What caused your concrete patio to sink? Soil compression usually occurs as a result of how the concrete patio was originally installed. When dense, well-packed soil becomes disturbed by loose backfill soil, with a heavy concrete slab being poured on top, the loose soil will often become compressed by the pressure, causing it to sink later on. Another reason patios often sink is due to erosion, where the soil washes away and creates a void beneath the slab. Patios will often sink around clogged gutters, faulty downspouts, or by areas where there is poor yard drainage. 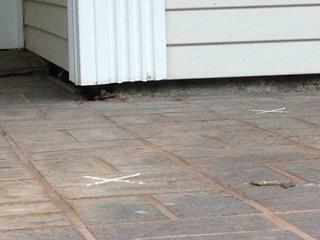 If patio cracks and settling is not repaired, it can often cause more extensive home damage later on. Total slab replacement, with heavy equipment tearing apart your patio in order to pour new concrete, is invasive, complicated, and an outdated answer to a common problem. 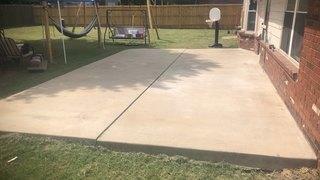 Concrete patio replacement can often cause further damage to your yard and will have you waiting a while before you can use your outdoor space. We offer a new, innovative concrete leveling and lifting solution that restores slabs without the mess and without stress. Our PolyLevel® system won't affect your yard, cures quickly, and will assure a lasting concrete repair without the drama. PolyLevel® uses a high-density polyurethane foam that expands in voids beneath the slab to raise sinking concrete. Once a small hole is drilled into your settled concrete patio, the foam is injected below, using just enough foam to level the slab. Once the foam fills the empty spaces between the loose soil, it improves its overall load-bearing capabilities. Want to enjoy your outdoor space without the worry of tripping over settled, sinking concrete? Bedlam Foundation & Concrete Lifting specializes in innovative concrete repair solutions that level and lift concrete patios with ease. Call 1-855-462-4840 or click below to schedule a free concrete repair quote in Oklahoma City, Tulsa, Edmond, Mustang, Choctaw, Norman, Enid, Stillwater, Owasso, and nearby today!